Our research group is affiliated with the Center for Subsurface Sensing and Imaging Systems (CenSSIS) and the Electrical and Computer Engineering Department at Northeastern University in Boston, MA. Prof. Eric Miller, Northeastern University. Wave-based signal processing. Prof. Anthony Devaney, Northeastern University, Inverse scattering. 1. Rappaport, C., ``An Offset Bifocal Reflector Antenna Design for Wide Angle Scanning,'' IEEE Transactions on Antennas and Propagation, November 1984, pp. 1196-1204. 2. Rappaport, C. and Zaghloul, A., ``Optimized Three Dimensional Lenses for Wide-Angle Scanning,'' (Invited Paper) IEEE Transactions on Antennas and Propagation, November 1985, pp. 227-1236. 3. Rappaport, C., Morgenthaler, F., and Lele, P., ``Controllable Heating Pattern of a Leaky-Wave Trough-guide Applicator,'' Journal of Microwave Power, vol. 21, no. 3, 1986, pp. 195-196. 4. Rappaport, C. and Morgenthaler, F., ``Localized Hyperthermia with Electromagnetic Arrays and the Leaky Wave Troughguide Applicator,'' (Invited Paper) IEEE Transactions on Microwave Theory and Techniques, May 1986, pp. 636-643. 5. Rappaport, C., Morgenthaler, F., and Lele, P., ``Experimental Study of the Leaky-Wave Troughguide Applicator,'' Journal of Microwave Power and Electromagnetic Energy, vol. 22, no. 2, 1987, pp. 71-78. 6. Rappaport, C. and Morgenthaler, F., ``Optimal Source Distribution for Hyperthermia at the Center of a Sphere of Muscle Tissue,'' IEEE Transactions on Microwave Theory and Techniques, December 1987, pp. 1322-1327. 7. Rappaport, C., Synthesis of Optimum Microwave Antenna Applicators for Use in Treating Deep Localized Tumors, (Invited Monograph) in the Progress in Electromagnetic Research series, Ed. Jin Au Kong. New York: Elsevier, 1988. 8. Rappaport, C., ``Scanning 60 degrees with a Reflector Antenna,'' Microwave Journal, vol. 34, no. 2, February 1991, pp. 95-110. 9. Rappaport, C. and Craig, W., ``High Aperture Efficiency, Symmetric Reflector Antennas with up to 60 degrees Field of View,'' IEEE Transactions on Antennas and Propagation, vol. AP-39, no. 3, March 1991, pp. 336-344. 10. Rappaport, C. and McCartin, B., ``FDFD Analysis of Electromagnetic Scattering in Anisotropic Media Using Unconstrained Triangular Meshes,'' IEEE Transactions on Antennas and Propagation, vol. AP-39, no. 3, March 1991, pp. 345-349. 11. Rappaport, C. and Smith, E., ``Anisotropic FDFD Computed on Conformal Meshes.'' IEEE Transactions on Magnetics, vol. 27, no. 5, September 1991, pp. 3848-3852. 12. Rappaport, C., ``Comments on `Synthesis of Optimum Microwave Antenna Applicators for Use in Treating Deep Localized Tumors' by C. M. Rappaport, PIER 1, 1989,'' Journal of Electromagnetic Waves and Applications, vol. 5, no. 3, July 1991. 13. Rappaport, C. ``Multi-focal Microwave Bootlace Lenses,'' (Invited Paper) Microwave Journal, vol. 35, no. 2, February 1992, pp. 129-142. 14. Rappaport, C., and Pereira, J., ``Optimal Microwave Source Distributions for Heating Off-Center Tumors in Spheres of High Water Content Tissue,'' IEEE Transactions on Microwave Theory and Techniques, vol. 40, no. 10, October, 1992, pp. 1979-1982. 15. Rappaport, C., and Bahrmasel, L., ``An Absorbing Boundary Condition Based on Anechoic Absorber for EM Scattering Computation,'' (Invited Paper) Journal of Electromagnetic Waves and Applications, vol. 6, no. 12, December 1992, pp. 1621-1634. 16. Rappaport, C., ``Optimizing Planar Source Distributions for Deep Power Deposition in Biological Tissue,'' (Invited Paper) Applied Computational Electromagnetics Society Journal, vol. 7, no. 2, Winter 1992, pp. 97-109. 17. Rappaport, C., ``Teaching Computational Electromagnetics at Northeastern University: From PCs to Supercomputers,'' (Invited Paper) Applied Computational Electromagnetics Society Journal, Special Issue on Computer Applications of Electromagnetics Education, vol. 8, no. 1, 1993, pp. 157-165. 18. Craig, W., Rappaport, C., and Mason, J, ``A High Aperture Efficiency, Wide-Angle Scanning Offset Reflector Antennas,'' IEEE Transactions on Antennas and Propagation, vol. 41, no. 11, November 1993, pp. 1481-1490. 19. Rappaport, C., ``Perfectly Matched Absorbing Boundary Conditions Based on Anisotropic Lossy Mapping of Space,'' IEEE Microwave and Guided Wave Letters, vol. 5, no. 3, March 1995, pp. 90-92. 20. Rappaport, C. and Gürel, T., ``Reducing the Computational Domain for FDTD Scattering Simulation using the Sawtooth Anechoic Chamber ABC,'' IEEE Transactions on Magnetics, vol. 31, no. 3, May 1995, pp. 1546-1549. Garcia Pino, A., Rappaport, C., Rubinos, J., and Lorenzo, E., ``A Shaped Dual Reflector Antenna with a Tilting Flat Subreflector for Scanning Application,'' IEEE Transactions on Antennas and Propagation, vol. 43, no. 10, October 1995, pp. 1022-1028. 22. Gürel, T. and Rappaport, C., ``Anechoic Chamber Absorbing Boundary Condition for UWB applications,'' Polytechnic University of Brooklyn Series on Ultra-Wideband Short-Pulse Electromagnetics vol. 2, 1996. 23. Rappaport, C., ``Interpreting and Improving the PML Absorbing Boundary Condition Using Anisotropic Lossy Mapping of Space,'' (Invited Paper) IEEE Transactions on Magnetics, vol. 32, no. 3, May 1996, pp. 968-974. 24. Liu, P., and Rappaport, C. ``Microwave Assisted Balloon Angioplasty,'' IEEE Transactions on Microwave Theory and Techniques, vol. 44, no. 10, October 1996, pp. 1819-1831. 25. Dunn, D., and Rappaport, C., ``FDTD Verification of Deep-set Brain Tumor Hyperthermia Using a Spherical Microwave Source Distribution,'' IEEE Transactions on Microwave Theory and Techniques, vol. 44, no. 10, October 1996, pp. 1769-1771. 26. Weedon, W., and Rappaport, C., ``A General Method for FDTD Modeling of Wave Propagation in Arbitrary Frequency- Dispersive Media,'' IEEE Transactions on Antennas and Propagation, vol. 45, March 1997, pp. 401-410. 27. Rappaport, C., Wu, S., and Winton, S., ``FDTD Wave Propagation Modeling in Dispersive Soil Using a Single Pole Conductivity Model,'' IEEE Transactions on Magnetics, vol. 35, May 1999, pp. 1542-1545. 28. Marengo, E., Rappaport, C., and Miller, E., ``Optimum PML ABC Conductivity Profile in FDFD,'' IEEE Transactions on Magnetics, vol. 35, May 1999, pp. 1506-1509. 29. Gu, Z., Rappaport, C., and Wang, P., ``A 2 1/4 Turn Spiral Antenna for Catheter Cardiac Ablation,'' IEEE Transactions on Biomedical Engineering December 1999, pp. 1480-1482. 30. Silevitch, M., McKnight, S., and Rappaport, C., ``A Unified Discipline of Subsurface Sensing and Imaging Systems,'' International Journal of Subsurface Sensing Technologies and Applications, January 2000, pp. 3-22. 31. Rappaport, C., Kilmer, M., and Miller, E., ``Accuracy Considerations in Using the PML ABC with FDFD Helmholtz Equation Computation'', (Invited Paper) International Journal of Numerical Modeling, vol. 13, no. 471, September 2000, pp. 471-482..
32. VanderBrink, B., Gu, Z., Rodriguez, V., Link, M., Munther, K., Homoud, M., Estes, M., Rappaport, C., Wang, P., ``Microwave Ablation Using a Wide-Aperture Antenna Design in a Porcine Thigh Muscle Preparation: In Vivo Assessment of Temperature Profile and Lesion Geometry,'' Journal of Cardiovascular Electrophysiology, vol. 11, no. 2, February 2000, pp. 193-198. 33. Rappaport, C., and Winton, S., ``Using the PML ABC for Air/Soil Wave Interaction Modeling in the Time and Frequency Domains,'' International Journal of Subsurface Sensing Technology and Applications, vol. 1, no. 3, July 2000, pp. 289-304. 34. Miller, E., Kilmer, M., and Rappaport, C., ``A New Shape-Based Method for Object Localization and Characterization from Scattered Field Data,'' (Invited Paper) IEEE Transactions on Geoscience and Remote Sensing, vol. 38, no. 4, July 2000, pp. 1682 -1696. 35.. Winton, S., and Rappaport, C. ``Specifying the PML Conductivities by Considering Numerical Reflection Dependencies,'' IEEE Transactions on Antennas and Propagation, vol. 48, no. 7, September 2000, pp. 1005-1063. 36. Dorn, O., Miller, E., and Rappaport, C., ``A Shape Reconstruction Method for Electromagnetic Tomography Using Adjoint Fields and Level Sets,'' Inverse Problems, vol. 16, October 2000, pp. 1119-1156. 37. Gu, Z., Rappaport, C., Wang, P., and VanderBrink, B., ``Development and Experimental Verification of the Wide-Aperture Catheter-Based Microwave Cardiac Ablation Antenna,'' IEEE Transactions on Microwave Theory and Techniques, special Issue on Biomedical Applications of Microwaves, vol. 48, no. 11, November 2000, pp. 1892-1900. 38. Yang, B., and Rappaport, C., ``Response of Realistic Soil for GPR Applications with Two Dimensional FDTD,'' IEEE Trans. on Geoscience and Remote Sensing, June 2001, pp. 1198-1205. 39. El-Shenawee, M., Rappaport, C., Miller, E., and Silevitch, M., ``3-D Subsurface Analysis of Electromagnetic Scattering from Penetrable/PEC Objects Buried under Rough Surfaces: Application of the Steepest Descent Fast Multipole Multilevel (SDFMM),'' IEEE Trans. on Geoscience and Remote Sensing, June 2001, pp. 1174-1182. 40 . Rappaport, C., Silevitch, M., McKnight, S., DiMarzio, C., Miller, E., and Raemer, H., ``Multi-mode Subsurface Sensing and Imaging for Land Mine Detection,'' (Invited paper) International Journal of Subsurface Sensing Technologies and Applications, July 2001, pp. 215-230. 41 . Morgenthaler, A. and Rappaport, C., ``Detecting Nonmetallic Mines Under Rough Ground Using Semi-Analytic Mode Matching,'' (Invited paper) International Journal of Subsurface Sensing Technologies and Applications, July 2001, pp. 231-247. 42. El-Shenawee, M. and Rappaport, C., ``Modeling Clutter from Bosnian and Puerto Rican Rough Ground Surfaces for GPR Subsurface Sensing Applications Using the SDFMM Technique,'' accepted for publication in International Journal of Subsurface Sensing Technologies and Applications, July 2001, pp. 249-264. 43. Morgenthaler, A. and Rappaport, C., ``Scattering from Lossy Dielectric Objects Buried Beneath Randomly Rough Ground: Validating the Semi-Analytic Mode Matching Algorithm with Two-Dimensional FDFD,'' IEEE Trans. on Geoscience and Remote Sensing, November 2001, pp. 2421-2428. 44. El-Shenawee, M., Rappaport, C., and Silevitch, M., ``Monte Carlo Simulations of Electromagnetic Wave Scattering from Random Rough Ground Surface with 3-D Penetrable Buried Object: Mine Detection Application Using the SDFMM,'' Journal of the Optical Society of America, vol. 18, no. 12, December 2001, pp. 3077-3084. 45. Jiang, D., Meleis, W., El-Shenawee, M., Mizan, E., Ashouei, M., and Rappaport, C., ``Parallel Implementation of the Steepest Descent Fast Multipole Method (SDFMM) On a Beowulf Cluster for Subsurface Sensing Applications,'' IEEE Microwave and Wireless Components Letters, January 2002, pp. 24-26. 46. Kilmer, M., Miller, E., and Rappaport, C., ``A QMR-Based Projection Technique for the Solution of Non-Hermitian Systems with Multiple Right Hand Sides'' SIAM Journal on Scientific Computing, vol. 23, no. 3, 2001, pp. 761-780. 47. 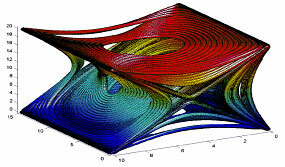 Dorn, O., Miller, E. and Rappaport, C., ``Shape reconstruction in 2D from limited-view multifrequency electromagnetic data,'' Proceedings of the Joint Summer Research Conference on Radon Transforms and Tomography in American Mathematical Society in our Contemporary Mathematics (CONM) book series, 2001 pp. 97-122. 48. Xu, X., Miller, E., Rappaport, C., and Sower, G., ``Statistical Method to Detect Subsurface Objects Using Array Ground Penetrating Radar Data,'' accepted for publication in IEEE Trans. on Geoscience and Remote Sensing, December 2000. 49. Morgenthaler, A. and Rappaport, C., ``Semi-analytic mode matching algorithms for accurate, efficient computation of scattered fields from 2D and 3D dielectric objects buried in randomly rough lossy backgrounds,'' accepted for publication in IEEE Transactions on Antenna and Propagation, January 2001. 50. El-Shenawee, M., Rappaport, C., Jiang, D., and Meleis, W., ``Electromagnetics Computations Using the MPI Parallel Implementation of the Steepest Descent Fast Multipole Method (SDFMM),'' accepted for publication in Applied Computational Electromagnetics Society Journal, September 2001. 51. Rappaport, C., ``Microwave Catheter-Based Tissue Heating to Treat Cardiac Disease,'' accepted for publication in IEEE Microwave Magazine, December 2001. 1. El-Shenawee, M., and Rappaport, C., ``Monte Carlo Simulations for Clutter Statistics in Landmine Fields: AP-Mine Buried Nearby a Penetrable Object Beneath Two-Dimensional Random Rough Ground,'' in review for publication in IEEE Transactions on Geoscience and Remote Sensing. 2. El-Shenawee, M., and Rappaport, C., ``Electromagnetic Scattering Interference Between Two Shallow Objects Buried Under 2-D Random Rough Surfaces,'' in review for publication in IEEE Microwave and Wireless Component Letters. 3. Rappaport, C., El-Shenawee, M. and Zhan, H., `` Suppressing GPR Clutter from Randomly Rough Ground Surfaces to Enhance Mine Detection,'' in review for publication in International Journal of Subsurface Sensing Technologies and Applications. 5. Rappaport, C., ``A Colormap for Effective Black and White Rendering of Color Scale Images,'' in review for publication in IEEE Transactions on Antennas and Propagation. 6. Lorenzo, M. E., Rappaport, C., and Pino, A., ``The Offset Bifocal Reflector Antenna: Exact 3-Dimensional Gregorian and Cassegrain Design,'' in preparation for publication in IEEE Transactions on Antennas and Propagation. 7. Kilmer, M., Miller, E., and Rappaport, C., ``Preconditioners for Structured Matrices Arising in Subsurface Object Detection,'' in review for publication in Journal of Computational Physics. 1. Rappaport, C., ``The Offset Bifocal Antenna,'' 1982 IEEE Antennas and Propagation Society/URSI Symposium Digest, May 1982, pp. 265-268. Rappaport, C., The Offset Bifocal: A New Concept in Scanning Dual Reflector Antennas, COMSAT Technical Report CL-TR-4-82, January 1983. Rappaport, C. and Zaghloul, A., ``Optimized Three Dimensional Lenses for Two Dimensional Scanning,'' 1984 IEEE Antennas and Propagation Society/URSI Symposium Digest, June 1984, pp. 608-611. 4. 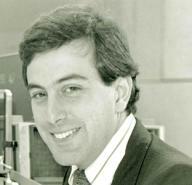 Rappaport, C., ``High Resolution Thinned Array Synthesis Based on an Optimized Mapping Function,'' 1986 Antennas and Propagation Society/URSI Symposium Digest, June 9-13, 1986, pp. 375-378. 5. Rappaport, C. and Morgenthaler, F.,``Optimal Source Distributions for Producing Power Maxima in Lossy Slabs and Cylinders,'' 1988 IEEE Antennas and Propagation Society/URSI Symposium Digest, June 1988, pp. 601-604. Rappaport, C., ``A High Aperture Efficiency, Single Reflector Antenna with Scanning,'' 1989 IEEE Antennas and Propagation Society/URSI Symposium Digest, June 1989, pp. 270-273. 7. Rappaport, C. and Craig, W., ``A 60 degree Scanning Offset Reflector Antenna with High Aperture Efficiency,'' 1990 IEEE Antennas and Propagation Society/URSI Symposium Digest, June 1990, pp. 148-151. 8. Rappaport, C. and Smith, E., ``FD Computation in Anisotropic Media Using Unconstrained Meshes - Oblique Incidence on 2-D Scatterers,'' 1990 Antennas and Propagation Society/URSI Symposium Digest, June 1990, p. 380. 9. Pereira, J. and Rappaport, C., ``Optimal Microwave Source Distribution for Heating Off-Center Tumors in Biological Spheres,'' 1991 IEEE EMBS Symposium Digest, vol. 2, October 1991, pp. 978-979. 10. Rappaport, C., ``Preliminary FDTD Results form the Anechoic Absorber Absorbing Boundary Condition,'' 1992 IEEE Antennas and Propagation Society/URSI Symposium Digest, July 1992, pp. 544-547. 11. Rappaport, C. and Mason, J., ``A Five Focal Point Three-Dimensional Bootlace Lens with Scanning in Two Planes,'' 1992 IEEE Antennas and Propagation Society/URSI Symposium Digest, July 1992, pp. 1340-1343. 12. Rappaport, C., ``Numerical Simulation of Short Pulse Excitation of a Parabolic Reflector,'' 1992 URSI Symposium Digest, July 1992, p. 453. 13. Rappaport, C. and Liu, P., ``A Helical Microwave Antenna for Welding Plaque During Balloon Angioplasty,'' 1992 IEEE EMBS Symposium Digest, October 1992, pp. 260-261. 14. Liu, P., Rappaport, C. and Wei, Y., and Sridhar, S.. ``Simulated Biological Materials at Microwave Frequencies for the Study of Electromagnetic Hyperthermia,'' 1992 IEEE EMBS Symposium Digest, October 1992, pp. 272-273. 15. Garcia Pino, A., Rappaport, C., and Rubinos, J., ``Reflector Biparabolico Como Antenna de Exploracion para Aplicaciones de DBS,'' Reunion del Comite Espanol de la URSI, Valencia, Spain, September, 1993. 16. Dunn, D., Terzuoli, A., Gerace, G., and Rappaport, C., ``FDTD Investigation of the Ability to Increase Electromagnetic Fields Around Cranial Tumors,'' 11th Annual Review of Progress in Applied Computational Electromagnetics Symposium Digest, March 1995. 17. Lorenzo, E., Pino, A., Rappaport, C., ``An Inexpensive Scanning Dual Offset Reflector Antenna with Rotating Flat Subreflector,'' 1995 Antennas and Propagation Society/URSI Symposium Digest, June 20, 1995, p. 1178-1181. 18. Brisker, Y., and Rappaport, C., ``Further Notes on Electromagnetic Field Behavior Near Homogeneous Anisotropic Wedges,'' 1995 Antennas and Propagation Society/URSI Symposium Digest, June 1995, p. 1360-1363. 19. Dunn, D., Terzuoli, A., Gerace, G., and Rappaport, C., ``FDTD Investigation of Non-Invasive Electromagnetic Fields on Tumors in the Head,'' 1995 Antennas and Propagation Society/URSI Symposium Digest, June 1995, p. 121. 20. Rappaport, C., and Weedon, W., ``Efficient Modeling of Electromagnetic Characteristics of Soil for FDTD Ground Penetrating Radar Simulation,'' 1996 Antennas and Propagation Society/URSI Symposium Digest, June 1996, pp. 620-623. 21. Lorenzo, E., Rappaport, C., and Pino, A., ``A Bifocal Reflector Antenna with Gregorian Configuration,'' 1996 Antennas and Propagation Society/URSI Symposium Digest, June 1996, pp. 234-237. 22. Rappaport, C., Gu, Z., and Wang, P., ``Wide-Aperture Microwave Catheter-Based Cardiac Ablation,'' Progress in Electromagnetic Research Symposium Digest, January 1997, p. 546. 23. Lorenzo, E., Rappaport, C., and Pino, A., ``An Offset Bifocal Reflector Antenna with Gregorian Configuration,'' 1997 Antennas and Propagation Society/URSI Symposium Digest, July 1997, pp. 1655-1658. 24. Winton, S., and Rappaport, C. ``Profiling the Perfectly Matched Layer to Improve Large Angle Performance,'' 1997 Antennas and Propagation Society/URSI Symposium Digest, July 1997, pp. 273. 25. Lorenzo, E., Rappaport, C., and Pino, A.``Scanning Dual Reflector Antenna with Rotating Curved Subreflector,'' Progress in Electromagnetic Research Symposium, July, 1998, pp. 347. 26. Rappaport, C., Wang, P., Gu, Z., VanderBrink, B., ``Wide-Aperture Microwave Catheter-Based Cardiac Ablation,'' Proceedings of the First Joint BMES/EMBS Conference, Atlanta, GA, October 1999, pp 314. 27. Rappaport, C., Ynag, B., Azevedo, S., Rosenbury, T., Gough, J. and Dean, A., ``Detecting Antipersonnel Mines with a Handheld Parabolic Reflector Transmitter / Multistatic Receiver Impulse GPR,'' 2000 UXO/Countermine Forum, May 2000. 28. El-Shanawee, M., Miller, E., and Rappaport, C., ``Near Field Computations of Electromagnetic Wave Scattered from Objects Buried Under 2-D Random Rough Surfaces,'' 2000 IEEE Antenna and Propagation Society International Symposium, June 2000, p. 334. 29. El-Shenawee, M., Rappaport, C., ``Electromagnetic Wave Scattering from Two Nearby Objects Buried Under Random Rough Surface Using the SDFMM: Subsurface Sensing Applications,'' 2001 IEEE Antenna and Propagation Society International Symposium, Boston, MA, July 2001, p. 320. 30. Raemer, H., and Rappaport, C., ``The Conical Spiral Antenna Probe for Underground Object Detection,'' 2001 IEEE Antenna and Propagation Society International Symposium, Boston, MA, July 2001, p. 77. 31. Rappaport, C. and Morgenthaler, A., ``FDFD Modeling of Plane Wave Interactions with Buried Objects Under Rough Surfaces,'' 2001 IEEE Antenna and Propagation Society International Symposium, Boston, MA, July 2001, p. 318. 32. Zhan, H., Rappaport, C., El-Shenawee, M. and Miler, E., ``Mine Detection Under Rough Ground Surfaces Using 2-D FDTD Modeling and Hypothesis Testing,'' 2001 IEEE Antenna and Propagation Society International Symposium, Boston, MA, July 2001, p. III-756. 33. Dumanian, A., Rappaport, C., and Morgenthaler, A., ``A Time Domain Signature Investigation for the GPR Detection of Plastic Land Mines Buried in Soils,'' 2001 IEEE Antenna and Propagation Society International Symposium, Boston, MA, July 2001, p. 248. 34. Shi, T., G. Sauermann, C. Rappaport, C. DiMarzio, ``Dual Frequency Microwave-Enhanced Infrared Thermography,'' 2001 IEEE Antenna and Propagation Society International Symposium, Boston, MA, July 2001, p. 322. 1. Farid, M., Alshawabkeh, A., Rappaport, C., and Kosmas, P., 11 DNAPL Detection Using Cross-Well Radar,'' 4th International Congress on Environmental Geotechnics, Rio De Janeiro, Brazil, August 2002. 1. Rappaport, C. and Morgenthaler, F., ``EM Induced Hyperthermia with Controllable Leaky Wave Arrays,'' Presented at IEEE MTT Phased Arrays for Hyperthermia Treatment of Cancer Workshop, June 1985. 2. Rappaport, C. and Morgenthaler, F., ``Optimal Source Distribution for Maximum Power Dissipation at the Center of a Lossy Sphere,'' 1987 IEEE MTT Symposium Digest, June 1987, pp. 247-251. 3. Rappaport, C., and Bahrmasel, L., ``An Absorbing Condition Based on Anechoic Chamber Absorber,'' 1991 Progress in Electromagnetics Research Symposium, July 1991, pp. 272. 4. Rappaport, C., ``Application Note: Microwave Applications to Medical Research,'' Arlon Microwaves Newsletter, August 1991, pp. 1-2. 5. Rappaport, C., ``Multi-focal Microstrip Bootlace Lens Design,'' 11th Annual Arlon Microwave Integrated Circuit Workshop Digest April 1992. 6. Rappaport, C. ``FDTD Analysis of a Saw-Tooth Anechoic Chamber Absorbing Boundary Condition,'' COMPUTATIONAL ELECTROMAGNETICS WORKSHOP, Applications, Existing Software and Its Limitations, Hanscom AFB, December 1992. 7. Rappaport, C., ``A Novel Saw-Tooth Absorbing Boundary Condition for EM Scattering Simulation on Massively Parallel Computers,'' Veda/Wright Labs Computational Electromagnetics Workshop, June 11, 1993. 8. Rappaport, C., ``Treating Heart Disease with a Millimeter- Wave Balloon Angioplasty Antenna,'' IEEE Antennas and Propagation Society Boston Section Seminar Series, September 14, 1993. Rappaport, C. and Gürel, T., ``FDTD Analysis of a Curved Saw-Tooth Anechoic Chamber Absorbing Boundary Condition,'' 10th Annual Review of Progress in Applied Computational Electromagnetics Symposium Digest, March 1994, pp. 248-255. 10. Rappaport, C. and Gürel, T., ``Anechoic Chamber Absorbing Boundary Condition for UWB applications,'' Second International Conference on Ultra-Wideband Short-Pulse Electromagnetics Digest, April 1994, pp. 30. 11. Rappaport, C. and Gürel, T., ``Reducing the Computational Domain for FDTD Scattering Simulation using the Sawtooth Anechoic Chamber ABC,'' The Sixth Biennial IEEE Conference on Electromagnetic Field Computation, July 1994, pp. 122. 12. Rappaport, C. ``Improving the PML Absorbing Boundary Condition with Optimal Complex Mapping of the Normal Coordinate,'' 1995 IEEE Antenna and Propagation Society/URSI Symposium Digest, June 1995, pp. 341. 13. Rappaport, C., ``Increasing the Effectiveness of the PML ABC with Complex Mapping of the Normal Coordinate,'' Compumag 95 Conference Record, July 1995, pp. 188. 14. Rappaport, C., and Winton, S., ``Modeling Dispersive Soil for FDTD Computation By Fitting Conductivity Parameters,'' 13th Annual Review of Progress in Applied Computational Electromagnetics Symposium Digest, March 1997, pp. 112-118. 15. Winton, S., and Rappaport, C. ``Implementation of a Two Dimensional Plane Wave FDTD Using One Dimensional FDTD on the Lattice Edges,'' 13th Annual Review of Progress in Applied Computational Electromagnetics Symposium Digest, March 1997, pps, 1156-1162. 16. Rappaport, C., and Winton, S., ``FDTD Computation of Wave Propagation in Dispersive Soil with a Perfectly Matched ABC Lattice Termination,'' Progress in Electromagnetic Research Symposium Digest, July 1997, pp. 342. 17. Rappaport, C., ``Advanced Land Mine Detection Using a Synthesis of Conventional Technologies,'' International Atomic Energy Agency Advisory Group Meeting: Low Cost Detection of Explosives (with Particular Interest in Landmines, April 1998, Vienna, Austria. 18. Rappaport, C., Wu, S., and Winton, S., ``FDTD Wave Propagation Modeling in Dispersive Soil Using a Single Pole Conductivity Model,'' Eighth Biennial IEEE Conference in Electromagnetic Field Computation, June 1998, pp. 144. 19. Marengo, E., Rappaport, C., and Miller, E., ``Optimum PML ABC Conductivity Profile in FDTD,'' Eighth Biennial IEEE Conference in Electromagnetic Field Computation, June 1998, pp. 360. 20. Rappaport, C., Marengo, E., and Miller, E., ``Conductivity Profile Optimization for the PML ABC in FDFD,'' Progress in Electromagnetic Research Symposium, July, 1998, pp. 307. 21. Johanssen, P., Rappaport, C., Devaney, A., and Miller, E., ``Electromagnetic Inversion for Multi-Static Ground Penetrating Radar,'' Progress in Electromagnetic Research Symposium, July, 1998, 862. 22. DiMarzio, C., Rappaport, C., ``Microwave-Enhanced Infrared Thermography'' SPIE International Symposium on Industrial and Environmental Monitors and Biosensors, Boston, MA, November 1998. 23. Rappaport, C. and Miller, E., ``Physics-based forward models for mine detection signal processing,'' SPIE 44th Annual Meeting and Exhibition, Denver, CO, July 1999. 24. Silevitch, M., McKnight, S., and Rappaport, C., ``A Common Framework for Subsurface Sensing and Imaging,'' SPIE 44th Annual Meeting and Exhibition, Denver, CO, July 1999, pp. 2-9. 25. DiMarzio, C., Oktar, T., Li, W., and Rappaport, C., ``Heating Realistic Mine-Like Buried Objects with Microwave Energy,'' SPIE International Symposium on Industrial and Environmental Monitors and Remediation Technologies II, Boston, MA, September 1999. 26. Li, W., DiMarzio, C., and Rappaport, C., ``Model for Laser-Generated Acoustic Waves in Soil,'' SPIE International Symposium on Industrial and Environmental Monitors and Remediation Technologies II, Boston, MA, September 1999. 27. Morgenthaler, A., and Rappaport, C., ``Validating the Semi-Analytic Mode Matching Technique for Buried Non-Metallic Target Scattering with 2-Dimensional FDFD,'' IGARSS, Honolulu, HI, July 2000. 28. Rappaport, C. and El-Shenawee, M., ``Modeling GPR Signal Degradation from Random Rough Ground Surface,'' IGARSS, Honolulu, HI, July 2000. 29. Rappaport, C., Silevitch, M., McKnight, S., DiMarzio, C., Miller, E., and Raemer, H., ``Multi-mode Subsurface Sensing and Imaging for Land Mine Detection,'' (Keynote Address), SPIE 45th Annual Meeting and Exhibition, San Diego CA, August 2000, pp. 2-10. 30. Rappaport, C., ``Time Domain Forward Computational Models of Complex Dispersive Media for Subsurface Sensing Applications,'' Progress in Electromagnetics Research Symposium, Boston, MA, July 2002. 31. El-Shenawee, M. and Rappaport, C., ``The Steepest Descent Fast Multipole Method for Clutter Statistics in Minefields Using Monte Carlo Simulations,'' Progress in Electromagnetics Research Symposium, Boston, MA, July 2002. 1. Morgenthaler, F., Rappaport, C., and Bhattacharjee, T., ``Applicator Synthesis for Microwave and RF Hyperthermia,'' Presented at Fourth International Symposium on Hyperthermic Oncology, July 1984, Aarhus, Denmark. 2. Rappaport, C., High Resolution Thinned Array Synthesis Based on an Optimized Mapping Function, Aerospace Technical Report ATR-86(8402)-1, May 15, 1986. 3. Lele, P., Morgenthaler, F., and Rappaport, C., ``Controllable Heating Pattern of a Leaky-Wave Antenna for Local Hyperthermia,'' Bioelectromagnetics Society, Ninth Annual Meeting, Portland, Oregon, June 1987. 4. Rappaport, C., ``Localized Microwave Hyperthermia Using a Leaky Wave Troughguide Applicator,'' MIT Health Science and Technology Forum, October 1987, pp. 127-134. 5. Rappaport, C., ``Optimization of Surface Field Distributions for Deep Power Deposition in Biological Tissue by Solving Non-Linear Differential Equations,'' Third Biennial IEEE Conference in Electromagnetic Field Computation, December 1988 pp. 156. Rappaport, C., ``Using Optimally Focused Electromagnetic Power for Hyperthermia Treatment of Deep Tumors in Biological Tissue ,'' Proceedings of the Fifteenth Annual Northeast IEEE Bioengineering Conference, March 1989, pp. 163-164. 7. Rappaport, C., ``Fresnel Zone Focusing with a Microwave Troughguide Hyperthermia Applicator,'' 1989 Progress in Electromagnetics Research Symposium, July 1989, pp. 472-474. 8. Rappaport, C. and McCartin, B., ``Modeling of Anisotropic Media Using Finite Differences,'' 1989 Progress in Electromagnetics Research Symposium, July 1989, pp. 193. 9. Rappaport, C. and Smith, E., ``Anisotropic FDFD Computed on Conformal Meshes.'' Fourth Biennial IEEE Conference on Electromagnetic Field Computation, October 1990, pp. BB-10. 10. Rappaport, C., Craig, W., and Mason, J., ``Two Dimensional Scanning with a Novel Offset Scanning Reflector Antenna,'' 1991 Progress in Electromagnetics Research Symposium, July 1991, pp. 520. 11. Rappaport, C., ``Examining the Berenger PML Absorbing Boundary Condition as an Anisotropic Lossy Mapping of Computational Space,'' IEEE Antennas and Propagation Society Boston Section Seminar Series, December 13, 1994. 12. Liu, P. and Rappaport, C., ``A Helical Microwave Antenna for Assisting Balloon Angioplasty,'' 1995 Progress in Electromagnetics Research Symposium, July 1995, pp. 545. 13. Weedon, W. and Rappaport, C., ``A General Method for the Modeling of Arbitrary Frequency-Dispersive Media Using FD-TD,'' 1995 Progress in Electromagnetics Research Symposium, July 1995, pp. 176. 14. Rappaport, C. and Dunn, D., ``Deep Focused Microwave Hyperthermia in a Human Head,'' 1995 Northeast Bioengineering Conference, May 22, 1995. 15. Lorenzo, E., Rubinos, O., Pino, A., and Rappaport, C., ``Antena de Doble Reflector Descentrado para Aplicaciones de Exploracion,'' 1995 Spanish Microwave Conference. 16. Weedon W., Rappaport, C., and Silevitch, D., ``Modeling and Stability Considerations for FDTD Analysis of Wave Propagation in Soils,'' 1996 SPIE Aerosense Symposium, Orlando, FL, April 1996, pp. 245-252. 17. Rappaport, C., and Reidy, D., ``Focused Array Radar for Real Time Imaging and Detection,'' 1996 SPIE Aerosense Symposium, Orlando, FL, April 1996, pp. 202-213. 18. DiMarzio, C., Rappaport, C., and Hilliar. J. ``Microwave-Enhanced Infrared Thermography'' SPIE Aerosense Conference, Orlando, FL, April 1998, pp. 1103-1110. 19. Raemer, H., Rappaport, C., and Miller, E., ``Frequency Domain Simulation of Focused Array Radar Returns from Buried Mines in Clutter,'' SPIE Aerosense Conference, Orlando, FL, April 1998, pp. 754-764. 20. Sahin, A., Rappaport, C., and Dean, A.,``Design Considerations for Short Time Pulse TEMR Antennas using Finite Difference Time Domain Algorithm'' SPIE Aerosense Conference, Orlando, FL, April 1998, pp. 784-793. 21. Tsinhrintzis, G., Rappaport, C., and Winton, S., ``On Statistical-Physical Modeling of Rough surface Scattering for Ground-Penetrating Radar Applications,'' SPIE Aerosense Conference, Orlando, FL, April 1998, pp. 735-741. 22. Winton, S., Sahin, A., Rappaport, C., and Miller, E., ``Comparison of a Recursive T-Matrix Method and the FDTD Method for Scattering Problems in Lossy Dispersive Soil,'' SPIE Aerosense Conference, Orlando, FL, April 1998, pp. 33-40. 23. DiMarzio, C., Rappaport, C.,``Microwave-Enhanced Infrared Thermography'' SPIE International Symposium on Industrial and Environmental Monitors and Biosensors, Boston, MA, November 1998. 24. DiMarzio, C., Li, W., McKnight, S., and Rappaport, C.,``Photoacoustic Techniques in Landmine Detection,'' SPIE International Symposium on Industrial and Environmental Monitors and Biosensors, Boston, MA, November 1998. 25. Raemer, H., Rappaport, C., and Miller, E., ``Near-Field and Timing Effects in Simulation of Focused Array Radar Signals from a Mine in Subsurface Clutter,'' SPIE Aerosense Conference, Orlando, FL, April 1999, pp. 1289-1300. 26. Xu, X., Miller, E., and Rappaport, C., ``Sequential Methods for the Detection and Localization of Mines from Focused Array Ground Penetrating Radar Measurements,'' SPIE Aerosense Conference, Orlando, FL, April 1999, pp. 1063-1074. 27. DiMarzio, C., Li, W., Rappaport, C., Sauermann, G., Scott, H., ``Microwave-Enhanced Infrared Thermography,'' SPIE Aerosense Conference, Orlando, FL, April 1999, pp. 173-179. 28. Rappaport, C., Winton, S., Jin D., and Siegel, L., ``Modeling the effects of non-uniform soil moisture on detection efficacy of mine-like objects with GPR,'' SPIE Aerosense Conference, Orlando, FL, April 1999, pp. 979-990. 29. Rappaport, C., Wu, S., Kilmer, M., and Miller, E., ``Distinguishing shape details of buried non-metallic mine-like objects with GPR,'' SPIE Aerosense Conference, Orlando, FL, April 1999, pp. 1419-1428. 30. Weisenseel, R., Karl, W., Castanon, D., Eric Miller, Rappaport, C., Dimarzio, C., ''Statistical fusion of GPR and EMI data,'' SPIE Aerosense Conference, Orlando, FL, April 1999, pp. 1179-1187. 31. Harold Raemer, Carey Rappaport, and Eric Miller, ``Surface Roughness Effects in Simulation of Mine Signals Using a Focused Array GPR System,'' SPIE 44th Annual Meeting and Exhibition, Denver, CO, July 1999. 32. Rappaport, C., Wang, P., Gu, Z., VanderBrink, B., ``Wide-Aperture Microwave Catheter-Based Cardiac Ablation,'' 21st Annual International Conference of IEEE Engineering in Medicine and Biology Society, Atlanta, GA, October 1999, pp. 59. 33. Rappaport, C., Azevedo, S., Rosenbury, T., and Gough, J., ``Handheld Forward-Looking Focused Array Mine Detection with Plane Wave Excitation,'' SPIE Aerosense Conference, Orlando, FL, April 2000, pp. 1118-1126. 34. Morgenthaler, A., and Rappaport, C., ``Semi-analytic mode matching techniques applied to finding non-metallic mines buried in realistic soils,'' SPIE Aerosense Conference, Orlando, FL, April 2000, pp. 1149-1159. 35. Raemer, H., Rappaport, C., Miller, E., and Young, R., ``Surface Roughness Effects in Simulation of Mine Signals Using a Focused Array GPR System,,'' SPIE Aerosense Conference, Orlando, FL, April 2000, pp. 1127-1139. 36. Oktar, T., Rappaport, C., and DiMarzio, C. ``The Effects of Surface Roughness on Microwave Heating of Soil for Detection of Buried Land Mines,'' SPIE Aerosense Conference, Orlando, FL, April 2000, pp. 200-208. 37. El-Shenawee, M. and Rappaport, C., ``Quanifying the Effects of Different Rough Surface Statistics for Mine Detection Using the FDTD Technique,'' SPIE Aerosense Conference, Orlando, FL, April 2000, pp. 966-975. 38. El-Shenawee, M. and Rappaport, C., ``Modeling Clutter from Random Rough Ground for GPR Subsurface Sensing Applications,'' Progress in Electromagnetics Research Symposium, July 2000, pp. 39. 39. Yang, B. and Rappaport, C., ``Modeling the Scatter Response of Realistic Soil for GPR Applications with Two Dimensional FDTD'' Progress in Electromagnetics Research Symposium, July 2000, pp. 38. 40. Jin, D. and Rappaport, C., ``FDTD Simulation of a Parabolic Antenna GPR transmitter,'' Progress in Electromagnetics Research Symposium, July 2000, pp. 353. 41. Dorn, O., Miller, E. and Rappaport, C., ``A nonlinear shape reconstruction algorithm for cross-borehole electromagnetic tomography using adjoint fields and level sets,'' Progress in Electromagnetics Research Symposium, July 2000, pp. 395. 42. Talbot, J. and Rappaport, C., ``An Efficient Mur-Type ABC for Lossy Scattering Media,'' Progress in Electromagnetics Research Symposium, July 2000, pp. 194. 43. Lorenzo, M. E., and Rappaport, C., ``Different solutions for a very wide-angle scanning reflector antennas,'' Progress in Electromagnetics Research Symposium, July 2000, pp. 492. 44. Rappaport, C. and Beihold, F., ``Mitigating Ground Clutter Effects with Lightweight Artificial Dielectrics,'' SPIE Aerosense Conference, Orlando, FL, April 2001, pp. 503-514. 45. Raemer, H. and Rappaport, C., ``GPR Application of the Conical Spiral Antenna,'' SPIE Aerosense Conference, Orlando, FL, April 2001, pp. 523-534. 46. El-Shenawee, M. and Rappaport, C., ``Statistics of Electromagnetic Near Fields Scattered from 3-D AP Mines Buried under Random Rough Surface, Calculated Using the Steepest Descent Fast Multilevel Multipole (SDFMM) Method,'' SPIE Aerosense Conference, Orlando, FL, April 2001, pp. 515-522. 47. Shi, T., Rappaport, C., Saurermann, G., DiMarzio, C., ``Two frequency microwave heating of soil for imaging under rough surfaces,'' SPIE Aerosense Conference, Orlando, FL, April 2001, pp. 379-386. 1. Linnehan, R. and Rappaport, C., ``Mitigating Ground Clutter Effects for Mine Detection with Lightweight Artificial Dielectrics,'' SPIE Aerosense Conference, Orlando, FL, April 2002. 2. Kosmas, P., Wang, Y., and Rappaport, C., ``A Three-Dimensional FDTD Model for GPR Detection of Objects Buried in Realistic Dispersive Soil,'' SPIE Aerosense Conference, Orlando, FL, April 2002. 5. El-Shenawee, M., and Rappaport, C., ``Parametric Investigation of Ground Roughness on the Interference Between the AP-Mine and a Clutter-Object Buried Under Two-Dimensional Random Rough Surfaces,'' SPIE Aerosense Conference, Orlando, FL, April 2002. 6. El-Shenawee, M. and Rappaport, C., ``The Steepest Descent Fast Multipole Method for Clutter Statistics in Minefields Using Monte Carlo Simulations,'' Progress in Electromagnetics Research Symposium, Boston, MA, July 2002. 8. Poliquin, B. and Rappaport, C., ``Ground Penetrating Antenna Design for Land Mine Detection,'' in review for publication in Fifth International Symposium, Technology and the Mine Detection Problem, March 2002. 9. Rappaport, C., ``Modeling radar detection of floating sea mines,'' in review for publication in Fifth International Symposium, Technology and the Mine Detection Problem, March 2002. 10. Rappaport, C., ``Quantifying the distorting effects of rough ground on GPR mine detection using the SAMM algorithm,'' in review for publication in Fifth International Symposium, Technology and the Mine Detection Problem, March 2002. 1. Rappaport, C., ``Treating Heart Disease with a Millimeter-Wave Balloon Angioplasty Antenna,'' Electromagnetics Institute Seminar Series, Technical University of Denmark, Lyngby, Denmark, September 1995. 3. Rappaport, C., and Weedon, W., ``Interpretation/Modeling Revisited: EM Computational Issues,'' presented at High Resolution EM Imaging of the Shallow Subsurface Workshop, Lawrence Berkeley National Laboratory, Berkeley, CA, August 1996. 4. Rappaport, C., ``An Integrated Approach to the Detection, Localization, and Classification of Mines,'' presented to the White House Office of Science and Technology Policy, Washington, DC, June, 1997. 5. Rappaport, C., ``Focused Microwave Hyperthermia for Cancer Treatment'' presented at the Massachusetts General Hospital Center for Minimally Invasive Therapy RF Treatment of Neoplasia Seminar, Boston, MA, November, 1997. 6. Rappaport, C., ``Ground Penetrating Radar for Detection of Land Mines,'' presented at the International Atomic Energy Agency Meeting on Land Mine Detection in Developing Nations, December, 1997. 7. Rappaport, C., ``Simulating Wave Propagation and Mine Scattering in Realistic Soil Models,'' presented at the JUXOCO Workshop on Active Electromagentics for Buried UXO Detection, January, 1999. 8. Rappaport, C., ``Finding Mines by Using our Minds, High Tech Detection of Buried Land Mines,'' Northeastern University Magazine, March 1999, pp. 47-48. 10. Rappaport, C., Wu, S., Kilmer, M., and Miller, E., ``Distinguishing shape details of buried non-metallic mine-like objects with GPR,'' Northeastern University Connections '99 Research Poster Session, Boston, MA, May 1999. 11. Rappaport, C., Miller, E., Kilmer, M., and El-Shanawee, M., ``Northeastern University Humanitarian Demining MURI Efforts on Clutter Modeling and Inverse Scattering Methods for GPR,'' Review Topic, presented at JUXOCO GPR Workshop, Alexandria, VA, June 1999. 12. Rappaport, C., ``Microwave Interactions with Biological Tissue,'' presented at Massachusetts General Hospital Imaging Center Seminar Series, Boston, MA, November 1999. 13. Rappaport, C., ``Measuring the Efficacy of a Novel Handheld Parabolic Forward-Looking Focused Array Mine Detector,'' Boston University Aeronautical and Mechanical Engineering Seminar, September 29, 2000. 14. Rappaport, C., ``What would you do if someone told you there was a land mine in your backyard?'' Northeastern University Building Bridges Luncheon Speech, November 3, 2000. 15. Rappaport, C., ``Research in Near Surface Underground Sensing,'' National Reconnaissance Office Seminar, December 6, 2000. 16. Rappaport, C., ``Wide Field-of-View Reflector Antennas for High Performance, Inexpensive Beam Steering,'' Hughes Network Systems Research Seminar, December 7, 2000. 17. Rappaport, C., ``All set to explode: applying land mine detection technology to the vulnerable plaque problem,'' Massachusetts General Hospital Vulnerable Plaque Seminar Series, January 8, 2001. 18. Rappaport, C., ``Ground Penetrating Radar Detection of Land Mines,'' seminar at University of Puerto Rico at Mayaguez, February 12, 2001. 19. Rappaport, C., ``Advanced Concepts for Ground Penetrating Radar Detection of Land Mines,'' IEEE Boston Section Invited Speech for Antennas and Propagation, Geoscience and Remote Sensing, Microwave Theory and Techniques, and Aerospace and Electronic Societies, February 13, 2001. 20. Rappaport, C., ``Advanced Concepts for Detection of Land Mines,'' CenSSIS Student Organization Presentation, May 4, 2001. 21. Rappaport, C., ``The CenSSIS Approach to Subsurface Sensing,'' Seminar at Boise State University, June 15, 2001. 22. Rappaport, C., ``Computational Modeling for Subsurface Sensing Summary,'' MathWorks Parallel Computing Workshop, July 16, 2001.